Nigeria's central bank governor Sanusi Lamido Sanusi has been voted Africa Person of the Year by Forbes magazine. He beat five other candidates for the inaugural award - including Nobel Peace laureate Ellen Johnson Sirleaf and Africa's richest man, Aliko Dangote. He beat Mrs Sirleaf, the Liberian president who was awarded this year's Nobel Peace prize; Dangote, Nigerian business tycoon who tops Forbes' list of Africa's richest people; former Cape Verde President Pedro Verona Pires, who won this year's $5m (£3.2m) Mo Ibrahim prize for good governance in Africa and Wangari Maathai, the Kenyan Nobel Peace laureate who died in September. 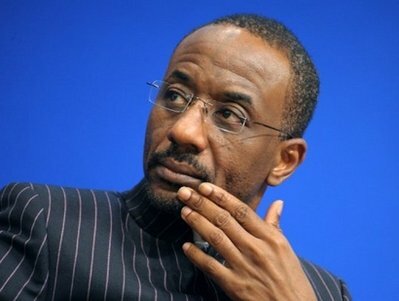 Mr Sanusi, 50, has spearheaded reforms in Nigeria's troubled banking sector since his appointment in 2009. The central bank bailed out nine banks and removed their chief executives who were accused of fraudulent practices. Several of the ousted bankers have been put on trial for alleged financial mismanagement. Last year, another financial publication, The Banker, named Mr Sanusi the Central Bank Governor of the Year. Mr Sanusi's critics says his reforms have led to massive job losses in the banking sector. But when receiving the award, he said the central bank's role was not to create jobs but to create an environment for business to thrive, Nigeria's privately owned newspaper, The Daily Trust, reports. He called on the government to show tighter fiscal discipline and to discourage imports. "You cannot be exporting crude oil and be importing refined petrol," Mr Sanusi said, according to The Daily Trust.